It doesnâ€™t take a village to create the perfect bread. Sometimes all it takes is one patient man. Who wouldâ€™ve thought that the process of bread-baking would be such a captivating occupation? But, from the words of the genial chef Ron Luhur of Union Deli, it might as well have been (and we are totally ignorant of it). That bread to smear your butter on takes a tremendous amount of patience to make: around 24 hours for the bread and the dough to ferment. If you can tell someoneâ€™s character from their profession then bread bakers must been a laid back lotâ€”which is exactly how the 35-year-old describes himself as. He said that bread bakers are a niche profession, underappreciated and not well-known because they work mostly behind-the-scenes. But, all is good, he added nonchalantly, and I got the feeling the reward is the bread itself. 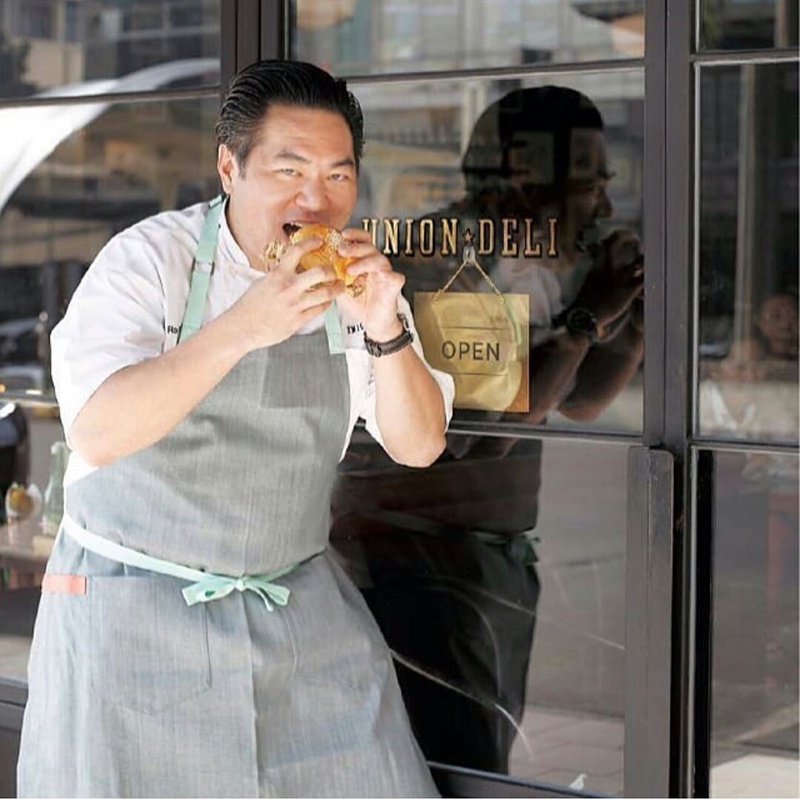 And so weâ€™re glad that his â€œbabiesâ€ find the perfect home at Union Deli (as well at other venues as they also supply breads for Emilie and Montyâ€™s) of the Union Group, one of the strong F&B players in Jakarta, where he joined as chef and partner. Though heavily influenced by artisanal breads from New York and France (they make a killer pastrami sandwich and a delicious chili cheddar loaf), but they also have a little fun and give a little twist by infusing elements of local cuisine into their classic sandwiches. One example is the Chili Crab, into which they add sambal balado for that extra kick. â€œThe sambal balado is acidic so it gives this sandwich a bit of sharpness, and overall a richer flavor,â€ he says. Then thereâ€™s the Tuna Croissant Sandwich with the fresh and spicy sambal matah of Bali (â€œThe lemongrass certainly gives it a fresh twistâ€), and lastly the Grilled Cheese with satay ayam and sambal pecel. Interesting combinations, indeed. Indonesians in general are probably most familiar with soft breads, not the crusty loafs such as one of his favorite bread, the sourdoughs. â€œI personally love the crusty loafs,â€ he says. â€œBut thatâ€™s what weâ€™re here for: to give people options and to try different type of breads.â€ One bread he would love to be made available here is the Danish Ryeâ€”a â€œsuper breadâ€ made with a more than generous sprinkling of seeds such as flaxseed, sunflower, pumpkin, and sesame. Well, who knew what would happen if he were to follow what he studied back in his university days (he got his Bachelorâ€™s degree in Economics from the University of Michigan and his Master in Public Policy from Harvard, and in fact had a previous job in D.C. dealing with energy issues), but luckily he made a follow up on his other interest that started when he was a teenager cooking up dinner parties with his best friends by taking a Artisanal Bread Baking Course at the French Culinary Institute in New York. He now even has t his own â€œbaking studioâ€ at home! It might take a while for this bread connoisseur to realize this particular passionâ€”like the bread-making process, he definitely has the patience to let it ferment. Published in The Foodie Magazine August Issue.